Oh my goodness. OH MY GOODNESS. 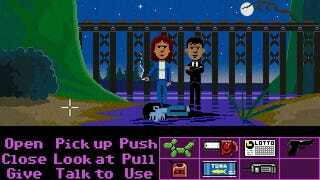 Ron Gilbert, best known as the creator of Monkey Island and Maniac Mansion, just launched a Kickstarter for a brand new old-school point-and-click adventure game that looks just about incredible.